Failure Case Studies in Civil Engineering: Structures, Foundations, and the Geoenvironment, Second Edition, provides short descriptions of 50 real-world examples of constructed works that did not perform as intended. 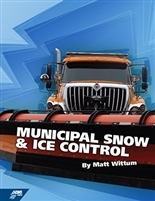 Designed for classroom use, each case study contains a brief summary, lessons learned, and references to key sources. This new edition, which replaces the 1995 classic edited by Robin Shepherd and J. David Frost, offers expanded descriptions, additional photographs and diagrams, and updated references. It also includes new case studies, such as the Alfred P. Murrah Federal Building, the Charles de Gaulle Airport Terminal, and the North Battleford, Saskatchewan, Water Treatment Plant. This book supplies valuable resource material on typical failures that can be integrated into undergraduate engineering courses. Engineering professors and their students will use this book as the basis for class discussions, a starting point for further research, and a demonstration of how each failure leads to improved engineering design and safety. This guide is approved CTAM-300 course material chosen by professors in the field. 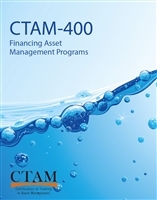 This guide is approved CTAM-400 course material chosen by professors in the field.